Riders will depart the wonders of Monkey Mia Resort and ride 150 K.
Once again the entire days riding is on secondary quiet roads. Check out a few snaps of Ocean Park Aquarium. I didn't get to see the shark feeding but my gut tells me you cant go past here without stopping. It had a flavour of mad max about it and I reckon it could be pretty bloody special. Take a look at the route below and for a more detailed view click here. Day 3 is destined to be special. Carnarvon lies in the mouth of the Gascoyne River on the Indian Ocean and is a beautiful little town. The town has lots to see and a great community feel. 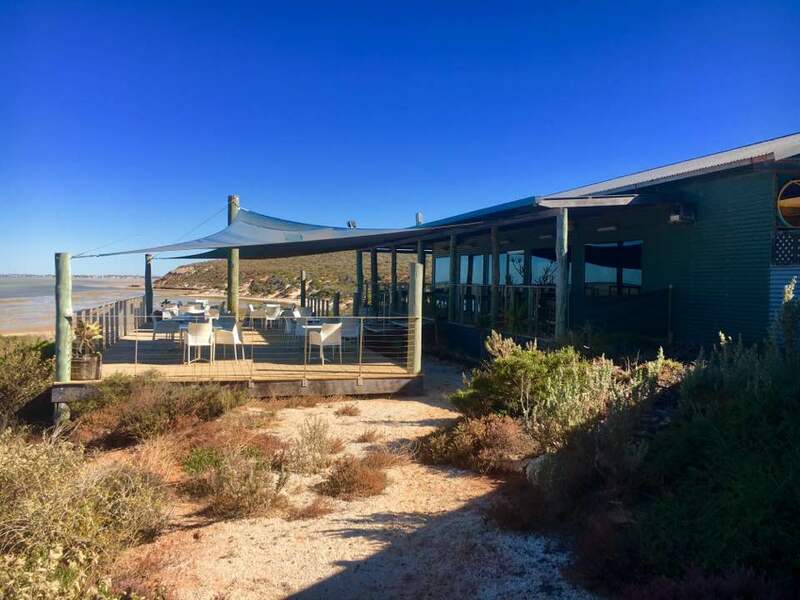 Its within the Shark Bay Heritage area and Ningaloo Reef and is a popular tourist town of Exmouth. Within Carnarvon is the aboriginal community of Mungullah. Riders will be staying at the CARNARVON MOTEL details below. Day 4 is Carnarvon to Coral Bay and just when you thought Monkey Mia had it all, Coral Bay will also put on a show. It is simply stunning. 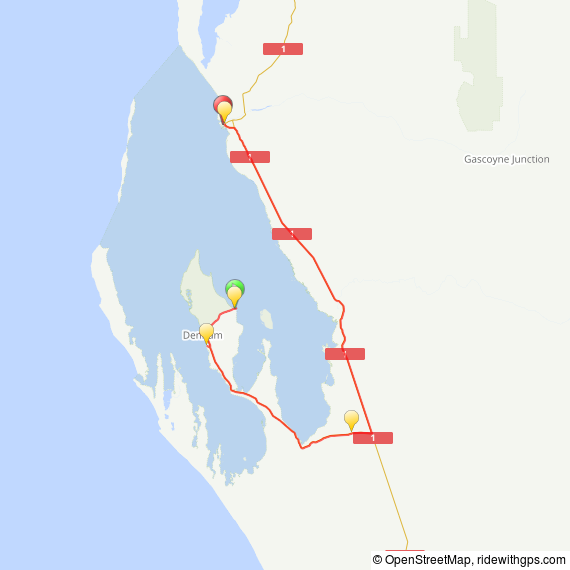 Riders will cycle 140 K along the main highway to Minilya Bridge Roadhouse for lunch and uplift to Coral Bay. This will be the first time riders get to experience the main highway. 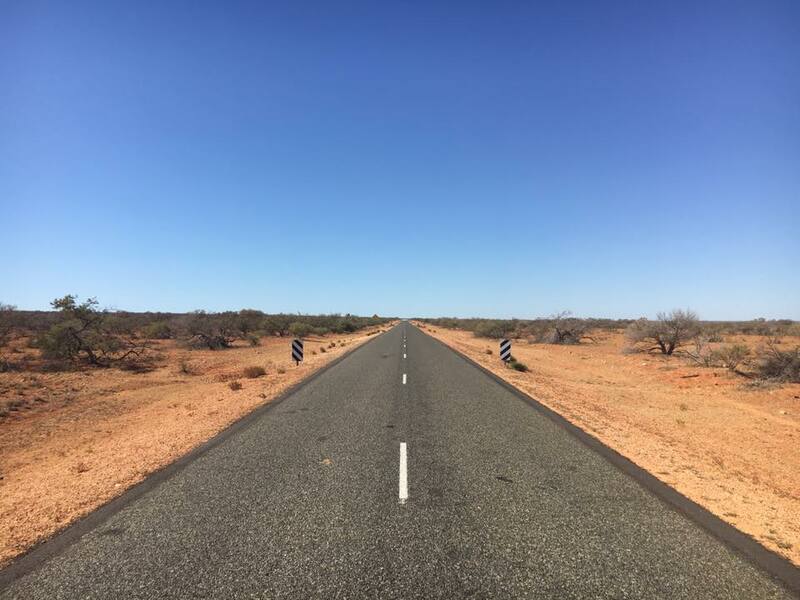 Highway between Carnarvon and Coral Bay. Riders will bed down across 2 resorts Ningallo Reef Resort and Peoples Park see details below. Take a peek at how stressful life can get.